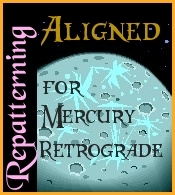 ← A Power Packed Mercury Retrograde Starts August 12th… are you ready for this? As the clerk went to measure out a bolt of my fabric, I asked for confirmation on the width and the final price. I did that for each one… except that last piece, the one I grabbed at the last moment as it coordinated so well. The bill came to a higher amount than I expected considering it was all so reduced in price. It was only when I got home that I found the red-herring. The last piece of fabric I selected and did not check on the price was a whopping $22/meter. I had bought 2 meters to be sure, but I was not expecting to sew a $44 garment when all the rest were well under $20. I could only smile. The laws of Mercury retrograde prevailed. I got great deals BUT it is no excuse to slack off! Check the fine print if not the price of EVERYTHING ….before the sale is final! This entry was posted in General Comments and tagged julie simmons astrologer, Mercury Retrograde, mercury retrograde august 12 2017, mercury retrograde shopping, sales. Bookmark the permalink. If this email contains a recording please download it. I can’t save them indefinitely.